Recap is a format that I don't take advantage of too often, but I should. It's my attempt at revisiting films I've already reviewed to see if I still feel the same way I did when I wrote that original review, whether it was just a few months ago, or a few years. 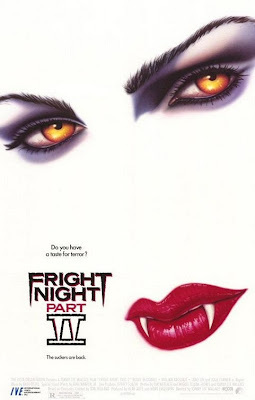 Having not seen Fright Night Part II since it first hit VHS back in the late 80's, I revisited it a few years ago on Halloween night (you can check out my original in depth review HERE), and let me tell you, it was one of the best Halloween's I've had in a long while. I loved this film so much and was just the thing I needed on that particular night. At the time though, I wasn't aware of how rare this film is on DVD. Apparently there was a limited release, in a bare bones full frame edition no less, which now commands up to over $100 on the net. Why? I don't know. I love this film, but would never pay that kind of money for a full frame version of this film with no supplemental material to boot. Not sure if it has anything to do with the rights or if the company that holds the rights just doesn't think it's of any interest to release a proper version where it will make them any money. If anybody has any info on this front, I'd greatly appreciate it. So back to the film. I watched it again the other night with my girlfriend and I have to say, it's just a great sequel to a great film. I don't understand all the hate this film gets. Hell, even the Freddy in Space (who I love and follow religiously) dude didn't really have anything nice to say about it when he posted some thoughts the other day on his Facebook page, which surprised me quite a bit as I find myself agreeing with his take on films more often than not. But with this, he was basically saying it drags in the whole middle where nothing happens. I can see that, but I don't think it's entirely accurate. Yea it's a little slower than you'd expect, but that doesn't mean it's not entertaining. Quite the opposite. I think the balance between horror, comedy and visual panache are put together so well by director Tommy Lee Wallace (Halloween III), that even though some of the story treads on many aspects and devices of the previous film, it's just put together all so well and was such a blast from start to finish. Fright Night Part II is such a different type of film than the original, in tone, style and overall substance. For one, while it's still dated, it's not screaming "80's!!" nearly as much as the first one. In fact, I'm surprised this was only just 3 years after the original. It looks and feels like it coulda come right out of the 90's somewhere. With that being said, some simply just don't like this one, often referring to it in one of their "worst sequels" lists. I don't think that's fair. Sure, the "Jerry Dandrige was my brother" premise is a tired one, but it works. And the visuals by frequent John Carpenter collaborator Tommy Lee Wallace, who also co-wrote the script really makes this one stand heaps above other horror sequels. I mean, even that opening recap sequence was so brilliantly done. When that title pops up, how can you not have a smile on your face? One of the most interesting memories I have around the time when this first hit VHS was that I don't think it hit our local theater. So when it was released on home video, especially after reading all about it for months in Fangoria Magazine, I was all over it. But being as young as I was, I couldn't rent this R Rated film by myself. 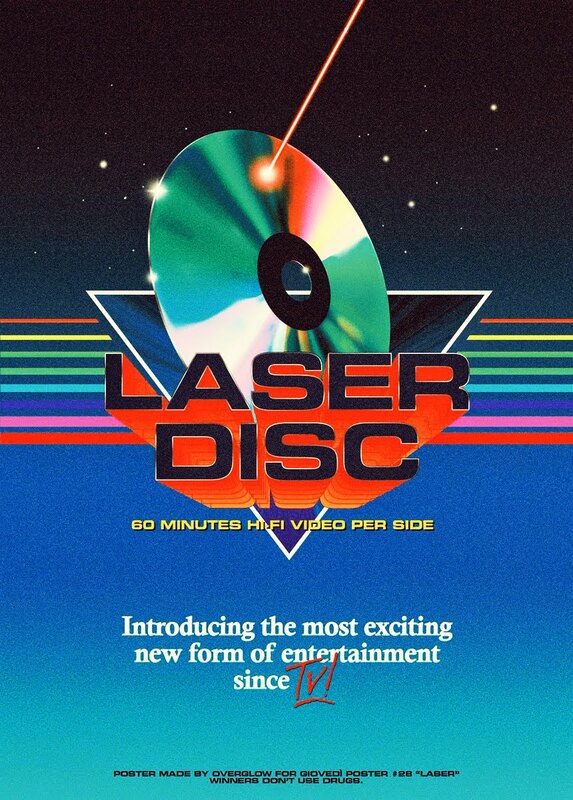 So I remember on a Friday night, my mother standing in the local video store for hours and hours waiting for someone to return a copy so my friends and I could watch it that night for our sleepover. Oh, my poor dedicated mother. I remember her exact words as she walked back into the house too; "This better be a damn good movie for the time I stood there like an idiot waiting for this thing". That's dedication man! My girlfriend, who had only just saw the original for the first time a few weeks back (crazy, I know!) loved this one as well, saying "It was so much fun!". I can only agree. Sometimes a fun movie is better than a good movie. Great review!